Sanctions against 150 separatists and Russian officials are to be extended on 12 March. EU ambassadors today decided to prolong sanctions against former Ukrainian President Viktor Yanukovych and 12 of his associates, Radio Free Europe/Radio Liberty Brussels reporter Rikard Jozwiak has tweeted. 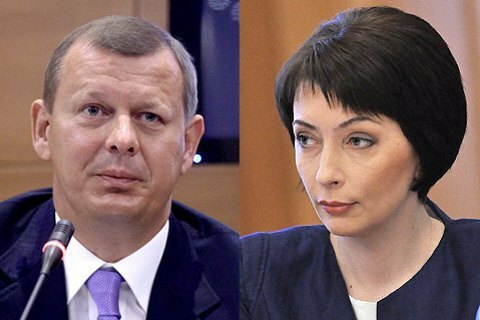 However, he added that former Justice Minister Olena Lukash and former MP Serhiy Klyuyev were removed from the list. Currently, the list includes Viktor Yanukovych, former Interior Minister Vitaliy Zakharchenko, former Prosecutor-General Viktor Pshonka, former presidential administration head Andriy Klyuyev, former Deputy Interior Minister Viktor Ratushnyak, former MP Oleksandr Yanukovych, former MP Artem Pshonka, ex-Prime Minister Mykola Azarov, media tycoon Serhiy Kurchenko, former Education Minister Dmytro Tabachnyk, former First Deputy Minister Serhiy Arbuzov, former Income and Levies Minister Oleksandr Klymenko and former Energy Minister Eduard Stavytskyy. According to Jozwiak, sanctions against 150 separatists and officials from Russia as well as 38 entities will be prolonged on 12 March.